Bristol based Andwot have just dropped their newest T-shirt design based on the ‘LOVE’ sculpture by American pop artist Robert Indiana. The tee features a photographic print of the sculpture on JFK Plaza (more commonly known as ‘LOVE Park’) in Philadelphia, one of the world’s most famous skate spots. 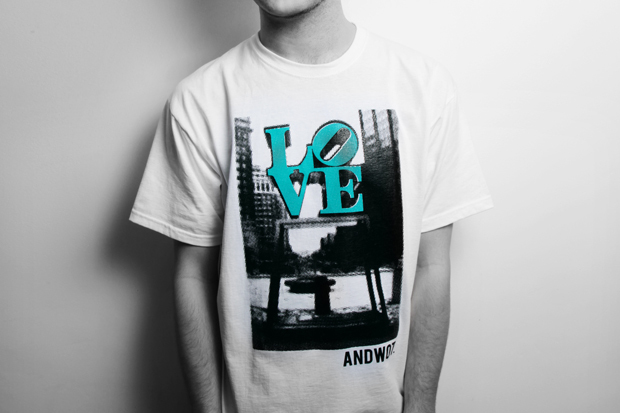 The black and white print is accented with a teal version of the LOVE sculpture and the ‘ANDWOT’ logo underneath. The back features a quote from skateboarder Roger Browne about his time sessioning LOVE Park: “We always knew love would be famous, but we didn’t know it would be this crazy”. 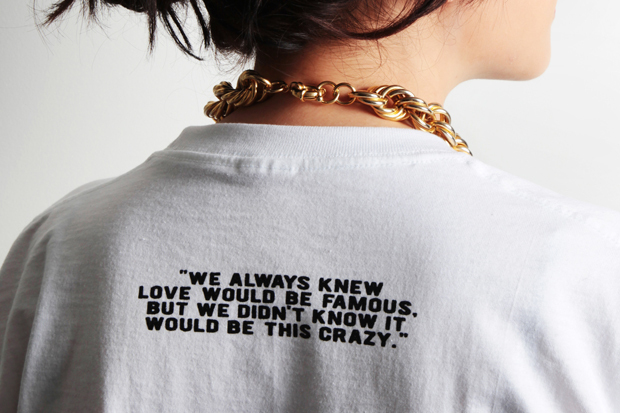 This tee and more are available from Andwot online and instore now. The Andwot store features product from a bunch of up-and-coming brands including Bake Designs and Who? Clothing, make sure to check it out next time you’re in the Bristol area, more info here. Where exactly has this idea been ripped from? Nice shirt! Nicer quote. No love with saying who the quote is from? All good. Make money. If you have them in XL hook quotable guy up. keep skating!